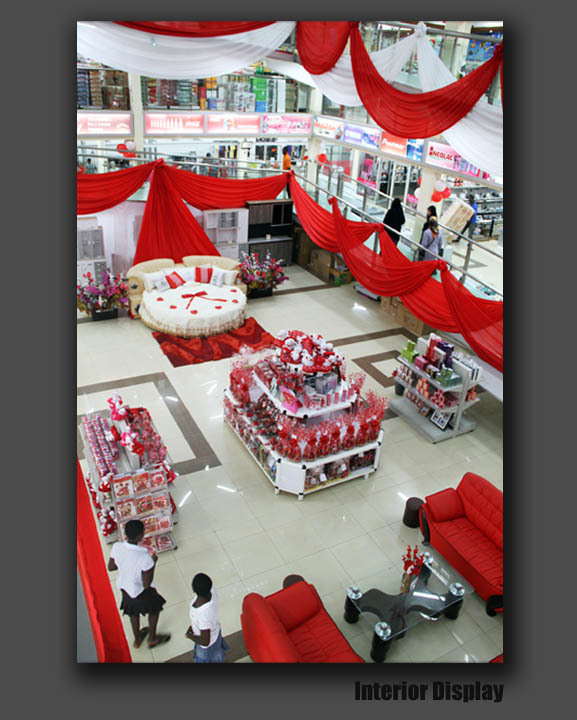 Did anyone know that Ghana has a department store and visual merchandisers too? This is such interesting news to us, and quite unexpected, actually somehow bizarre. We had always understood that this area of the world was still developing, however it transpires that Melcom is actually quite a large company selling around 15,000 products. Apparently Africa will be the next consumer society and therefore wise to keep an eye on whats happening here. Under the creative eye of Raj Nakar who kindly sent us these images, who also has an incredibly visual blog http://rajeshnakar.blogspot.com which we think you should check out. Raj has clearly been working hard to put Ghana on the visual map and we have to support these kind of guys working in isolation and forging ahead in Visual Merchandising simply because they love what they do.